Avocado is a fruit with a pear-shape which comes from a tree originated in Central or South America, where it is known by many centuries. 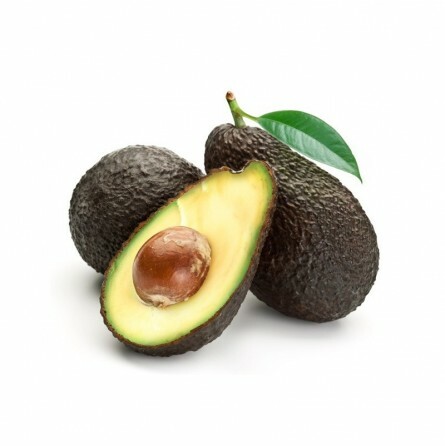 The word avocado comes from the Aztec word ahuacalt, from which the Spaniards called him first ahuacate or aguacate (still used today) and finally avocado. In the U.S. it is sometimes called "alligator pear", a clear reference to his zest reminiscent of crocodile skin. The popularity of the avocado in North America and Europe is fairly recent. Spanish explorers were initially observed that the cultivation of avocado stretched from Mexico to Peru. Today the largest producers, especially of the Hass variety, in America are Mexico, United States, Dominican Republic and Colombia. In Europe, especially other varieties are consumed (Fuerte, Pinkerton, Ettinger, Reed, Bacon, Nabal, Edranol, Ryan) produced mainly in Israel and Spain in the winter season and in South Africa in the summer. Even in Italy, in Sicily, there are some crops that produce good quality of avocados. The avocado tree grows in tropical and subtropical climates, reaching up to 20 meters in height. The leaves are oval, glossy and evergreen. There are about a dozen varieties, most of which produce small whitish or greenish yellow flowers that are very fragrant. The tree blooms in two different phases, but the production of fruits is very limited. The skin of the avocado is not edible. The different types vary in weight from 200 gr. up to about 1 kg. All varieties had a thick and creamy flesh (when riped) with a mild taste vaguely reminiscent of walnuts. The flesh is yellowish green. All varieties, except the avocado-cocktail, have a great core at the center, which detaches easily from the pulp. The pulp is oxidized in contact with air and tends to become reddish or black. To avoid this, once opened must always sprayed with lemon, or better, with the lime. It is used primarily as a starter and as a salad ingredient. The product is easily digestible and nutritious at the same time. The flavor is mild and combines readily with nearly all the flavors. It is also enjoyable as natural, with a spoon, with salt, pepper and lemon, possibly a drop of oil, even squeezing the pulp with a fork to turn it into a soft cream smeared as the basis of tasty canapés. Or sliced mixed with salad together with tomato sauce. It needs to be used mature, in other words when it is soft and gives slightly to the touch. Sulla fiducia, non l'ho ancora mangiato. Un poco insipido ma molto fresco. Buono ma qua raggiungiamo il top. 2 frutti arrivati minuscoli. Grossi come albicocche. Al kg li avrò pagati come un aragosta. preferisco questo di colore scuro, morbido al punto giusto e molto burroso. ottimo gusto e morbidezza della polpa.